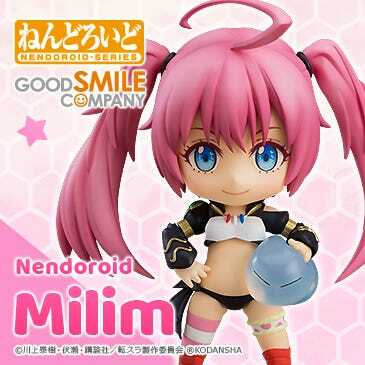 Kahotan's Blog | GOOD SMILE COMPANY Figure Reviews | Nendoroid Racing Miku: 2015 Ver. 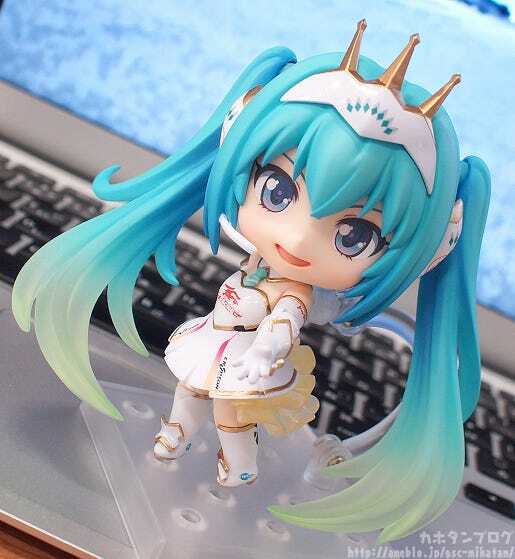 Nendoroid Racing Miku: 2015 Ver.! 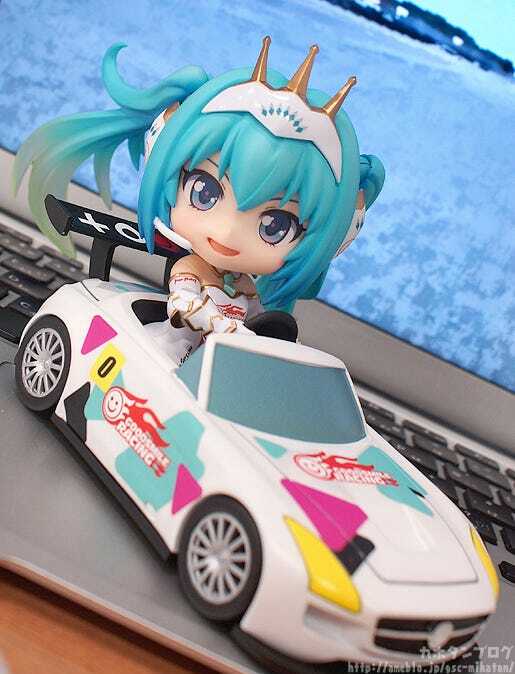 The official character of the Hatsune Miku GT Project ‘Racing Miku’ is back again in Nendoroid form, this time in her 2015 ver. outfit! 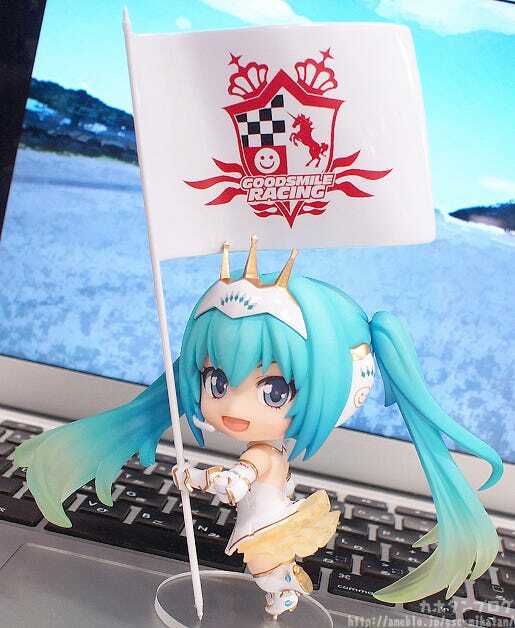 The Nendoroid is based on the illustration by Taiki, a design which gives Racing Miku a knightly appearance, ready to charge into first place! 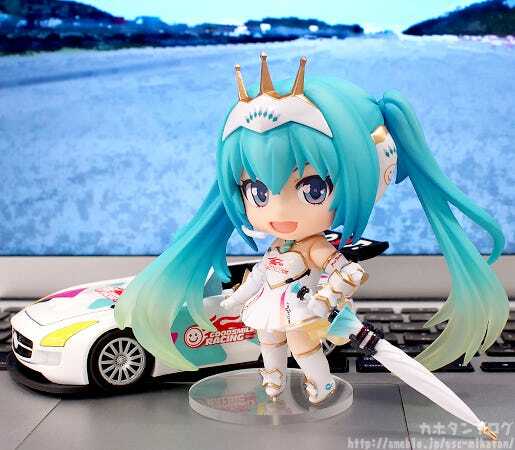 Optional parts include a race queen’s parasol, as well as a Nendoroid-sized car that Miku can actually ride inside! 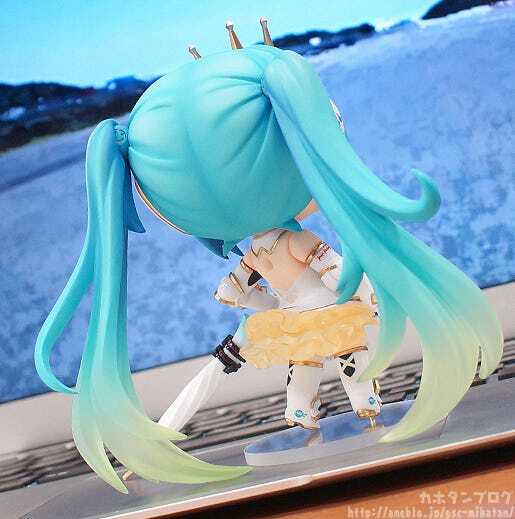 △ Her back shows off lots of skin too! 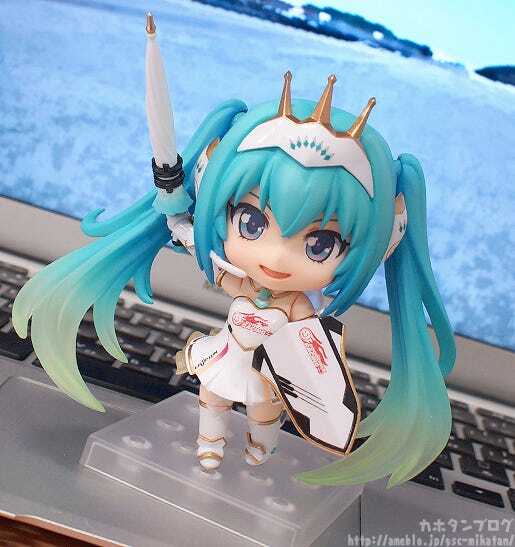 Nendoroid Racing Miku comes with her so-called ‘Offensive Parasol‘ and ‘Defensive Keyboard‘! 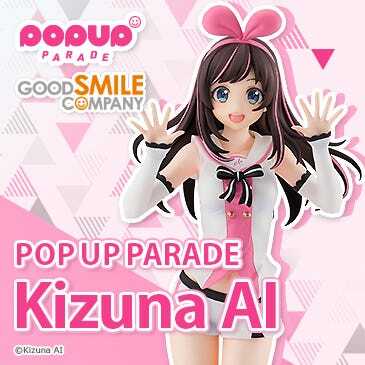 This is of course the pose from one of the main visuals, and I can just image her shouting “We’re aiming for the top once more!” whenever I see this pose! 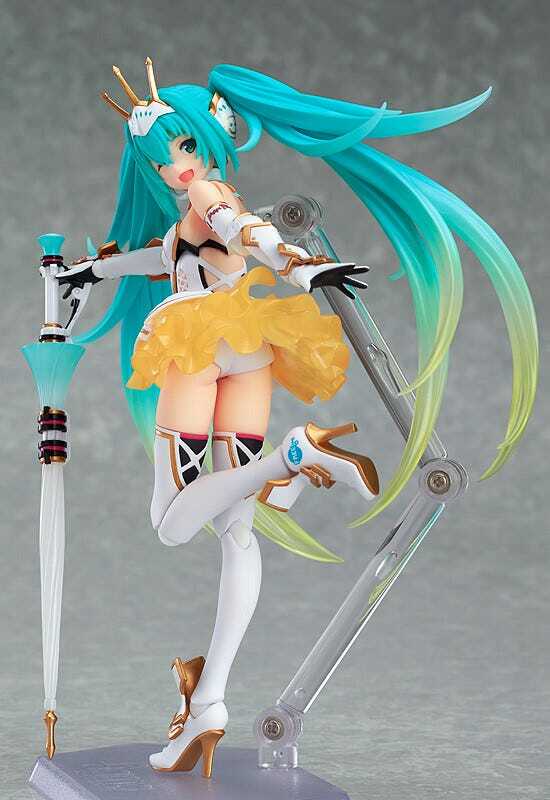 △ A design that includes Miku color! △ The driving body is only the upper body. 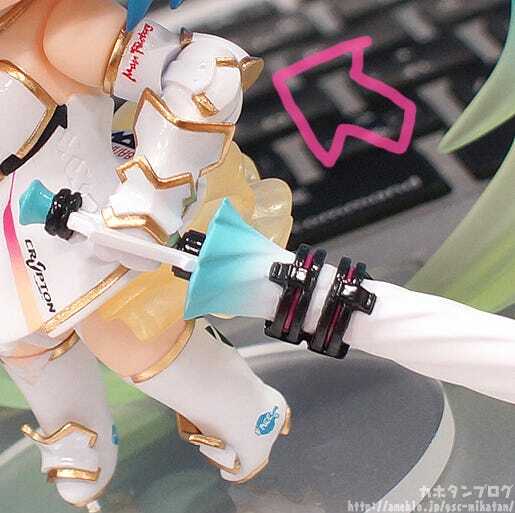 Of course you can then make use of the articulation in the twin-tails to really give the electronic racing diva some speed! 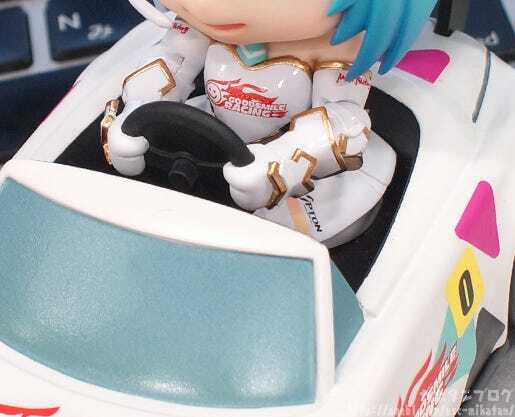 △ The articulated arms also mean she can easily hold the steering wheel! 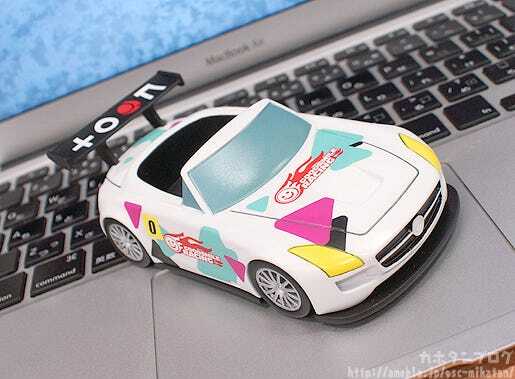 GOODSMILE RACING ＆ TeamUKYO are aiming to become champions two years in a row!! A big thank you to everyone who has supported the team!! 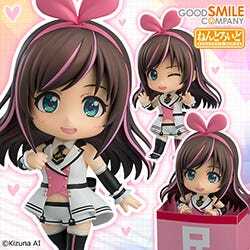 The goddess of victory back again! 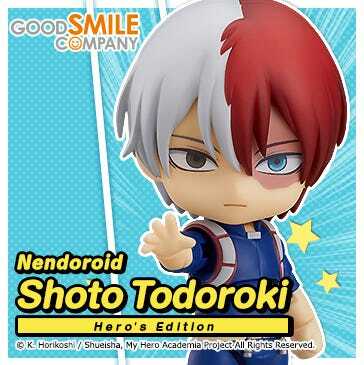 You can apply to become a sponsor and see what other goodies are up for grabs to sponsors over at the GOODSMILE RACING Personal Sponsor Application Site! 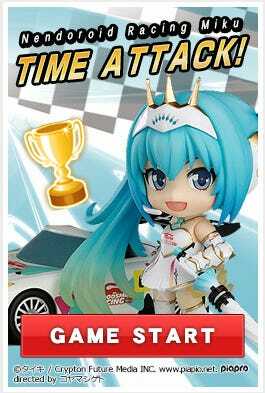 Also, be sure to check the Good Smile Company website, where you can play the ‘Nendoroid Racing Miku Time Attack’ game!! It’s in the top right! 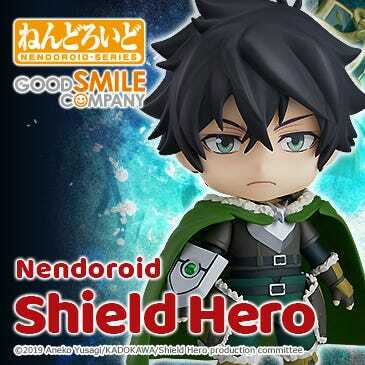 Finally some quick event news! Tomorrow the 25th April is…. Finally a live broadcast notice!! 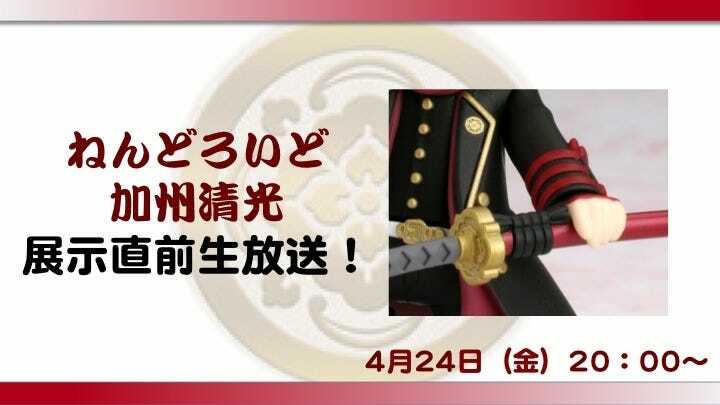 The Nendoroid Kashuu Kiyomitsu Pre-Display Broadcast! 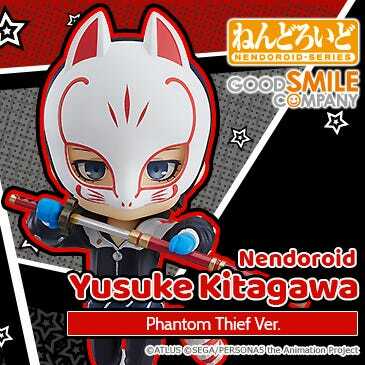 Nendoroid Kashuu Kiyomitsu is going to be on display at NicoNico ChoKaigi this weekend, but we want to take a little sneak peek at him first! 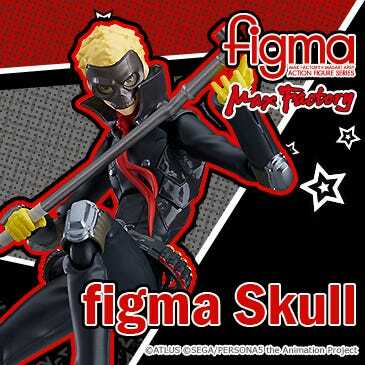 The very first look at his combat pose and expression!! NicoCho and the GSR Cup! A busy weekend!